We grow food - an essential element for life. What we put into growing this must be safe for people and the environment. It's that simple. 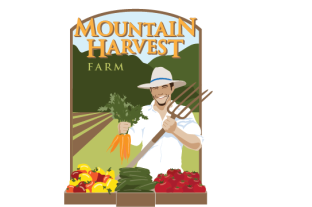 We follow organic growing standards, and are currently Certified Naturally Grown, and are undergoing the process to obtain USDA Organic Certification. We are happy to talk with you about our practices. If you have questions about our practices, please come out to the farm or call us up to ask us. We keep down pest and diseases by rotating crops, removing crop residue from fields, and using drip irrigation to manage moisture. When absolutely necessary to control pests, we only use products that are certified organic, made from natural materials such as flower extracts. We don't use synthetic chemical pesticides that could harm humans, wildlife, or soil microbes. We use fertilizers made entirely of natural materials such as composted manure, and rock powders, or kelp. We don't use chemical fertilizers derived using petroleum products. We use cover crops to build soil structure, add organic matter, suppress weeds, and prevent soil erosion. We use absolutely no herbicides and manage weeds using tools, bed cover, and muscle power. We only use non-GMO seed and untreated seed. We also only use certified organic seed if it is available.